Long-delayed Mega Man spiritual successor Mighty No. 9 has encountered yet more issues, even as it finally crawls past the finish line. The US$4 million crowdfunded platformer has been delayed a few additional days on Xbox 360, Mac, and Linux, due to bugs, adding insult to the injury of multiple delays over the game's development period. Some Kickstarter backers have reported being given faulty unlock codes, or codes for the incorrect version of the game. Other backers expecting two pieces of DLC received multiple codes for the same DLC. Reviews have not been kind to Mighty No 9, either, with the game currently claiming ratings of between 50 and 60% (depending on platform) on review aggregator Metacritic. In a recent livestream, creator Keiji Inafune was reported to say (although it may have been an ad-lib by his translator) that even if the release is not perfect, "it's better than nothing." 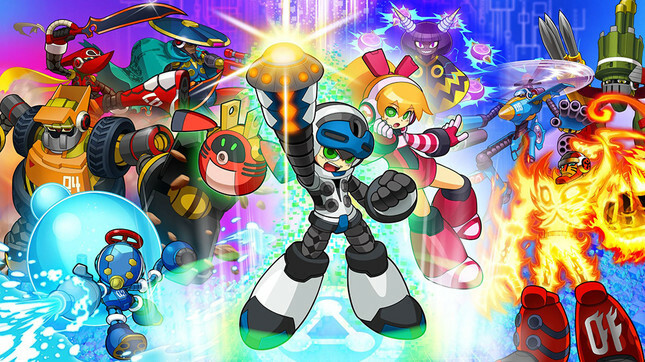 Mighty No 9 is available, to varying degrees, on new-gen and previous-gen consoles and PC. And a new playable character.